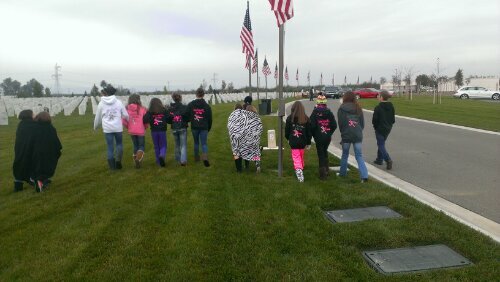 On last Saturday, my gymnastics team went to Wreathes Accross America at the Dixon Cemetary. We got there about 8:30 and there was a long line of cars headed to the cemetary. 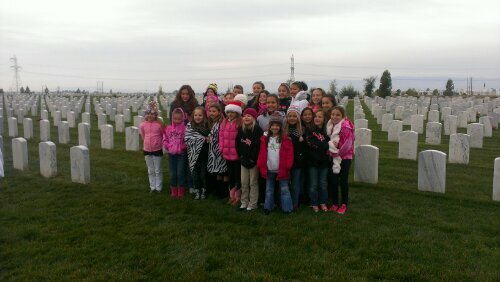 We met up with our teammates and tried to hear the ceremony that was put on. 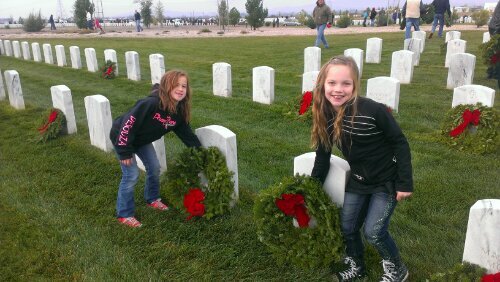 Right after the ceremony, we walked over to an area that had a bunch of boxes and started unpacking the wreathes that were suppose to go onto each grave. 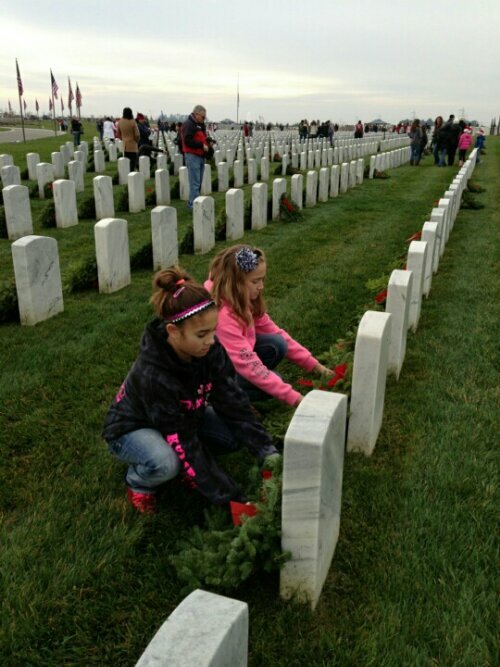 After all family members laid wreathes, then all the public could lay wreathes on the rest of the graves. 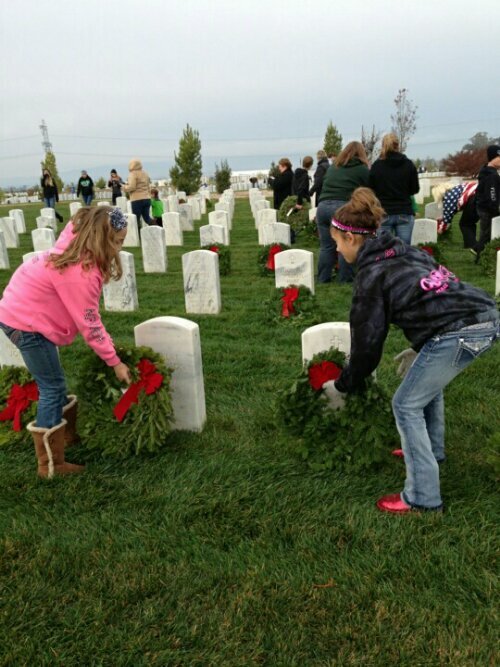 It was really pretty after all the wreathes were laid. 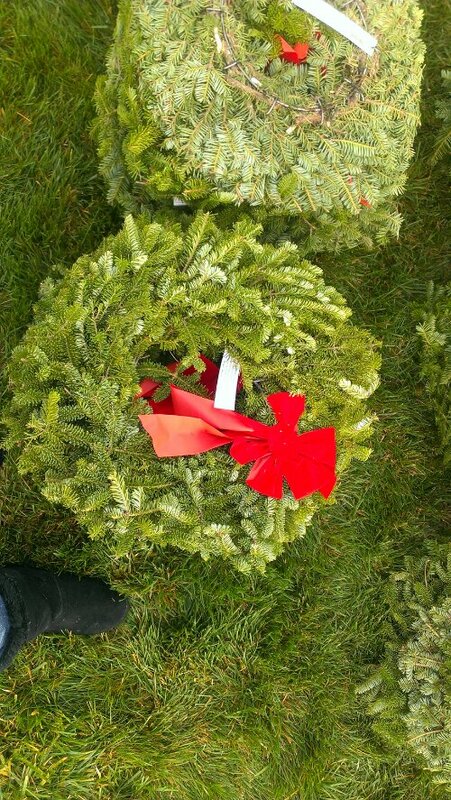 I think we heard that 11,000 wreathes were laid at the cemetary that day. 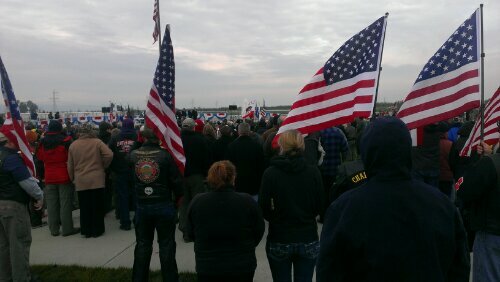 It was a nice thing to do for all the veterens that served for our country. We never did it before but I hope we do it again next year. Judges Cup – My teammate Qualified to National Judges cup!!! A couple of Saturdays ago, was some of the Optional teams first meet. There was suppose to be 6 girls going and competing in level 7 but right before the meet, Regan hurt her foot and couldn’t compete and Matea hurt her hand and couldn’t compete. Both are better and can compete at the next meet. That left us with Kylie, Sameerah, Gigi and Lynse. Our whole team of Optionals went to go watch. Everyone did really good! Mostly all scores were over 9s. Great job teammates! Lynse competed and She got first place all around out of her session. The top 7 of 2 sessions compete at the Nationals judges cup. After the meet the whole team went and ate at the spaghetti factory and Lynse waited to find out if she was going to make it to compete at the National Judges cup. Turns out She had the highest score of both sessions and is going to Florida to compete for our state. Whoo hoo Lynse! The Story of 4 friends and a cool video! I can’t remember when all of us first met but it was after my level 4 season. I knew Kylie for awhile but Anna and Tatiana came after. We always did sooo many things together and we all made the best of friends. This year after regionals, and into our summer practice, Tatiana decided to quit 😦 At first we thought she was just talking about it but after we had a week off during summer, she didn’t come back. We couldn’t believe it. Gym was not going to be the same without her and we were all very sad. Then a couple of months go by and Anna says she might have to move 😦 first it was going to happen in september, then October, then for sure in November. And it did. Anna is moving. She is only moving to Dixon but her parents just aren’t able to get her to our gym anymore. NOOO ANNNAAA Don’t go! All of us tried to figure out ways to make it work for her but it really happened. She moved to another gym right after Thanksgiving. It was another sad day for Kylie and I. We will miss you Anna and Tot! I know we see you sometimes but it is not the same… Come back! This page will go to our memories of them and all of our fun times. Also, before Anna left our coach Annie made this cool video of some of the skills we got over the summer. It’s pretty cool to watch. Halloween – Halloween one ween. I love Halloween! I pretty much love every holiday. This year I was a Ladybug and my sister was a bee! We have alot of people trick or treat with us. Belinda and her family, My aunt Zeba and her family, My uncle Michael and his family and My Nana Nina and Grandpa come too. We pretty much have the best neighborhood, down the steet from us kinda by my school, there is a house that gives out a brown bag full of candy bars. 10 or 11 full size candy bars. Ari actually goes to school with the boy that lives there. We always go to that house first. 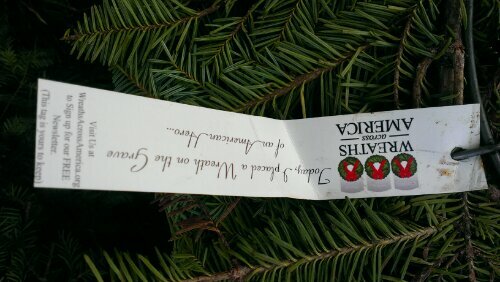 Its a tradition.! Of course this year the weather was soooo nice but then on Halloween it rained. 😦 It didn’t stop us though. Halloween one ween it will be for years to come. We watched the show and they never heard of halloween so when it was getting explained some how it came thru as Halloween one ween. For weeks my mom, my sister and I couldn’t stop saying it! Our holiday has now been renamed! This day was really fun! Ari, Kylie, Matea and I all got to do the openning dance for the Tour of Champions. We got to listen to the chalk talk and meet the olympic team! 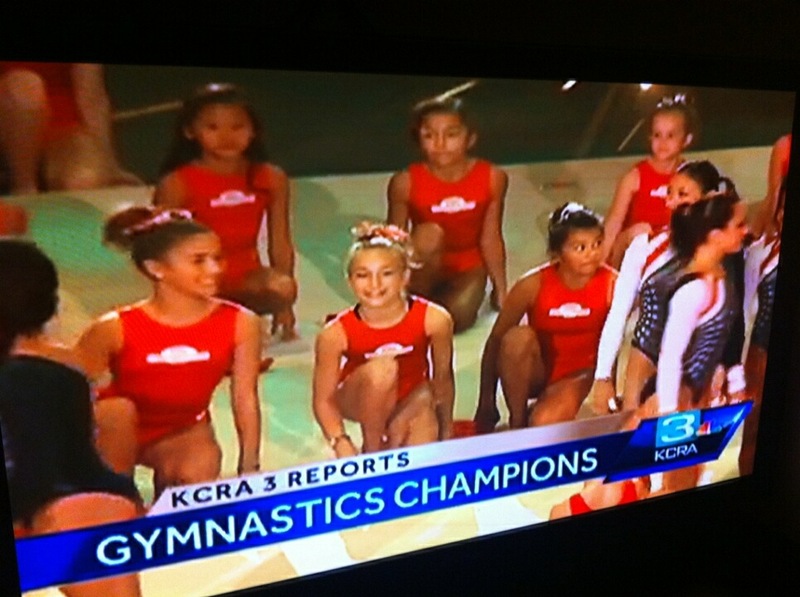 Then we found out we were on the news! Olympic Trials! Whoo hooo I was soo excited. This was going to be my 2nd olympic trials I was going too. I went with my mom and my team in 2008 and that was pretty cool but going this year was going to be even better. I was really excited because right before Olympic trials was a mini vacation to Lake Almanor, We went with my moms friends last year and it was really fun so I knew it was going to be fun this year and Kylie was going with me too. Right before we went, my Nonnie was having a hard time breathing all the time and was couching all the time. She was going with us too. A couple days before she coughed so hard she thought she broke a rib (turns out she did). We had alot of fun although it was summer, for some reason it snowed up there! We weren’t really ready for that. My nonnie (my grandma) was in pain the whole time we were there and she didn’t get to do very much with us. I think we got back from our vacation and then had about a week and then we were going to be heading to San Jose for the Olympic trials. We bought the 4 day tickets because my mom was going to be there every day going to congress with Dream Xtreme. A couple days after we got back my nonnie found out some horrible news. She found out from the xray from her ribs and lungs that she had lung cancer. 😦 And a broken rib. This was horrible. I was so excited about the trials and so sad that my grandma was sick. She actually came with us to the trials because she had to watch my sister and I while my mom was at the classes. Also, Jeff, Camille and Helen all came. We all piled into my moms van to get places, I think there were like 11 of us. It was fun. On the first night of the mens trials, we sat right behind Sam Mikulaks mom and girlfriend. We got a picture with her, shes a well known gymnast too. We also met Samantha Pezsek while we were walking to our seats. Pic with her too! And either later that night or the next day, Kylie and her cousin Bailey and my mom and Camille all went to subway and John Orozco was there buying a sandwich with his mom and dad. Yep, we were pretty cool. The next night during the womens competition we sat right in from of Jordyn Weibers whole family! We have pictures with her mom too! Next day mens competitition, Sams fans moved and the place was more crowded. Then on womens finals night, John Orozco stood in our stairway and watched the competition for along time!. We were also on the news and on TV the whole time because our team wore these flourescent yellow shirts and you couldn’t miss us. It was so much fun and so amazing! Jen and Kylie sat by bars for alittle bit and sat by Gabys mom. Gaby beat Jordyn by a tenth! So Jordyns family had to wait to see if she made the team. Her whole family was soooo nice and all of us were hoping sooo. It was a really exciting meet. I am sooooo happy we got to go. Thanks mom and dad.